The Akademiks Culture Color Twill Pant is a classic 5-pocket straight leg in a rich burgundy, almost brown color. Get out of the “jeans” rut and put a little “Culture Color” into your closet! 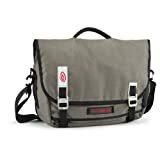 More Berlin than Berkeley, the oxford nylon and anodized hardware of the Command TSA-Friendly Messenger Bag makes it Timbuk2’s most sophisticated iPad and laptop messenger bag. Paired with a TSA compliant crater sleeve with separate laptop and iPad pockets, it’s a free upgrade magnet. This Baby Phat colored twill pant is in a supersoft stretch material, complete with sequined and embroidered back pockets. Career-minded styling and casual comfort are offered in these capris by Coral Bay. These slenderizing capris feature a hidden tummy trimmingpanel, faux back welt pockets, button detailed hemline and easy carefabric with stretch for a fabulous fit. Cotton Spandex. 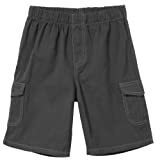 Soft Twill Cargo Shorts – Charcoal w/ Lt Gray Stitch – 12-18 mon.